Continue on to see the full patch notes courtesy EA SPORTS. Providing everyone with a detailed look into all that was included in the HUGE 10/9 Title Update. Here are the deets! Defenders play the passing lane better, facing the ball more often when defending cutters. Also tuned up interceptions, so more will play especially in Pick and Roll situations. Steering adjustments, so players go into and out of celebrations smoother. 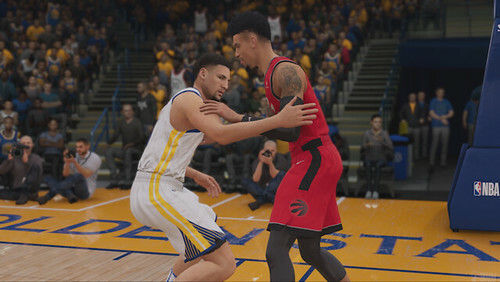 Removed some boxout animations that started with the players too far apart from each other, helping with responsiveness in positioning prior to rebounds. Stacking multiple traits will still be beneficial, but have less of an exponential benefit. Hope you enjoy the details to our 10/9 Title Update. Let us know what you think once you've played for some time!